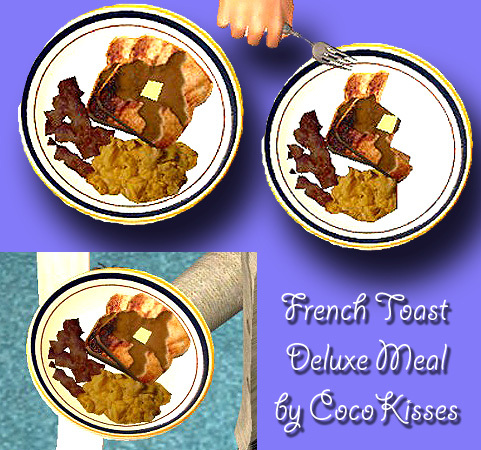 Description: French toast with eggs and bacon. 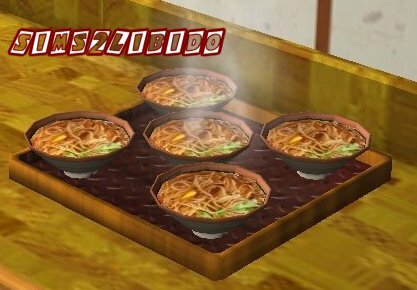 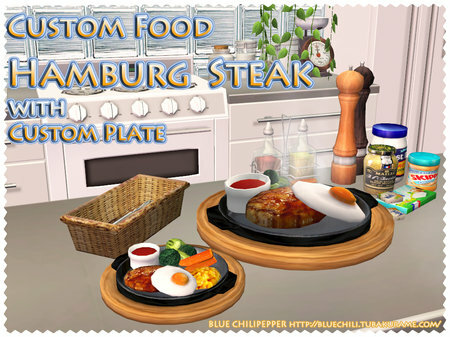 Description: Hamburg steak with custom dinnerware. 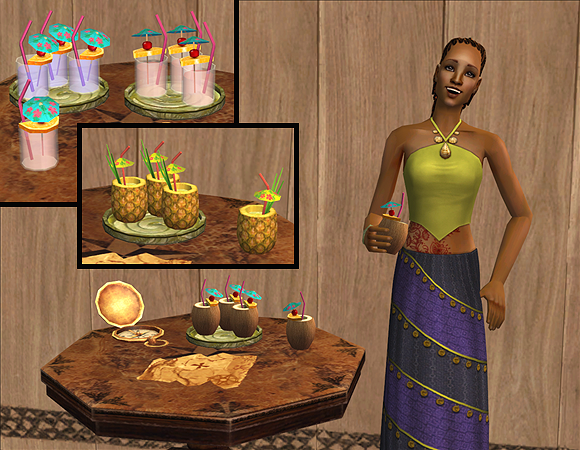 Description: Defaults for bar drinks from Island Paradise. 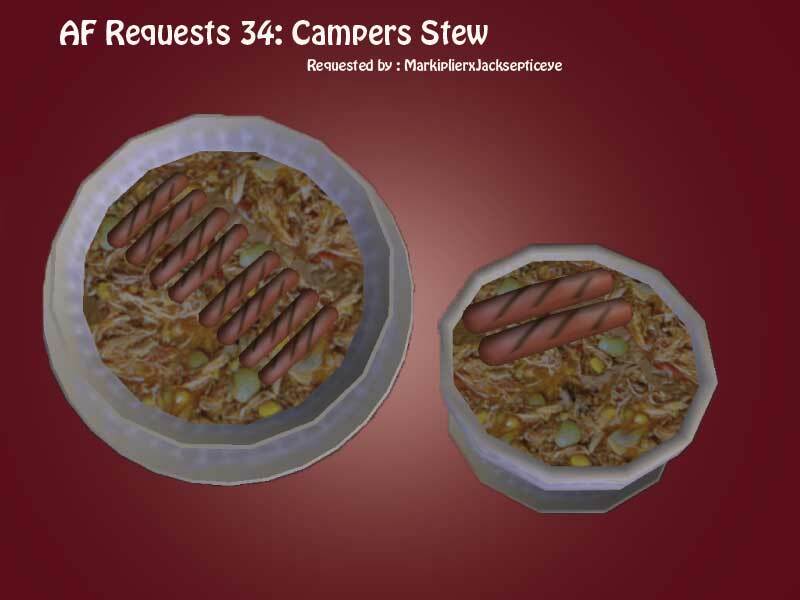 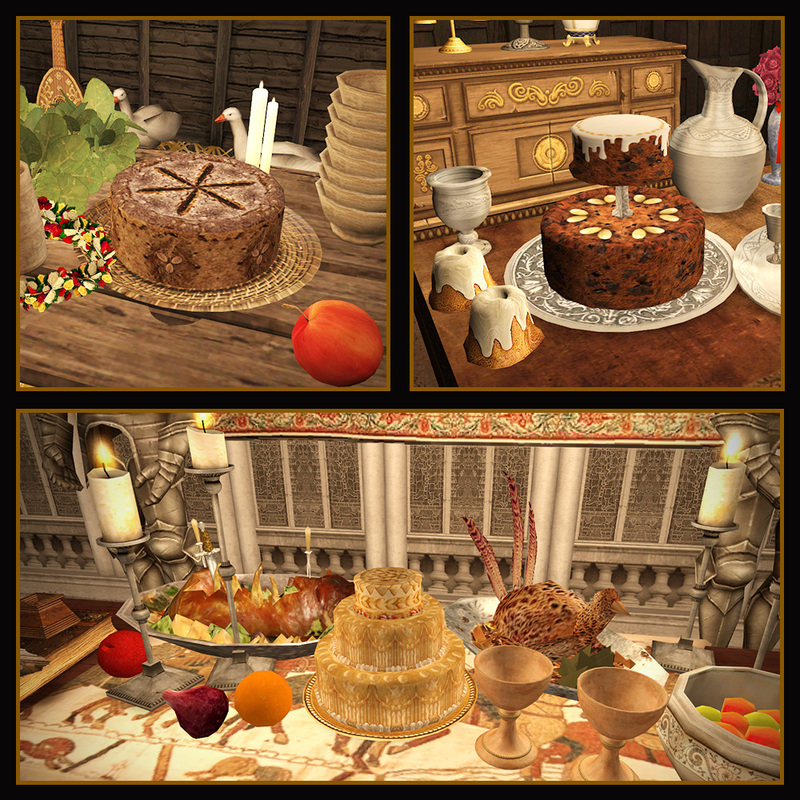 Description: Medieval versions (recolours) of Maxis wedding cakes. 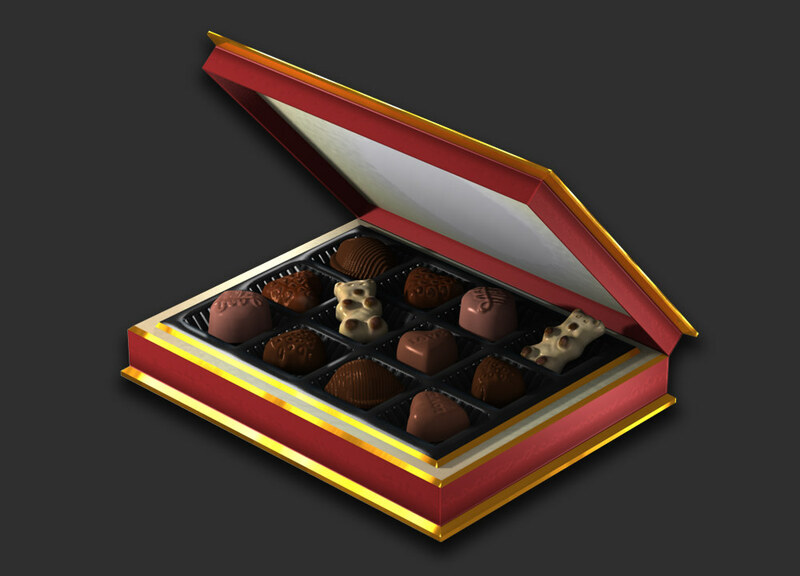 Description: Fully functional buyable and edible chocolate boxes. 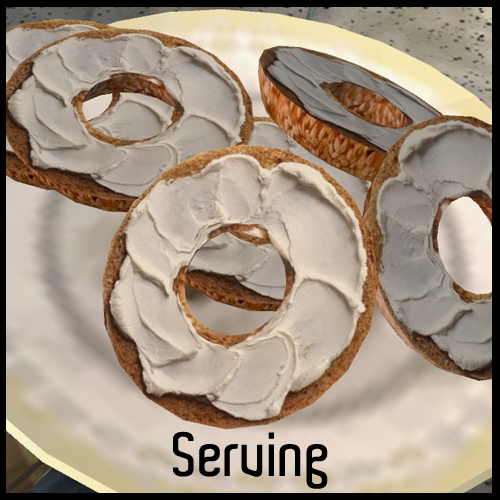 Description: Cream cheese bagels for lunch. 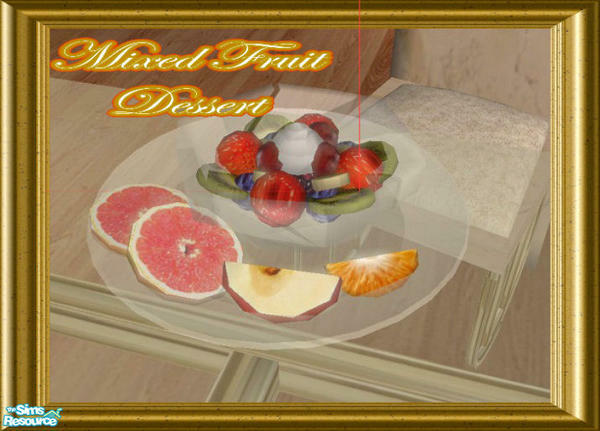 Description: Mixed fruit dessert salad. 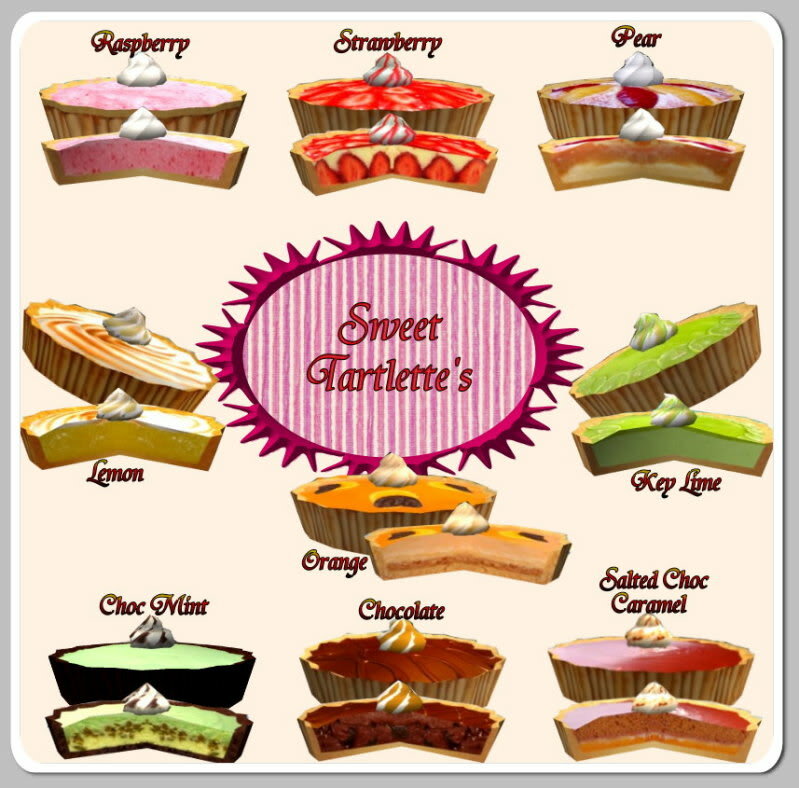 Description: Tartlettes in several flavours (raspberry, strawberry, pear, lemon, orange, key lime, chocolate, chocolate mint, salted chocolate caramel). 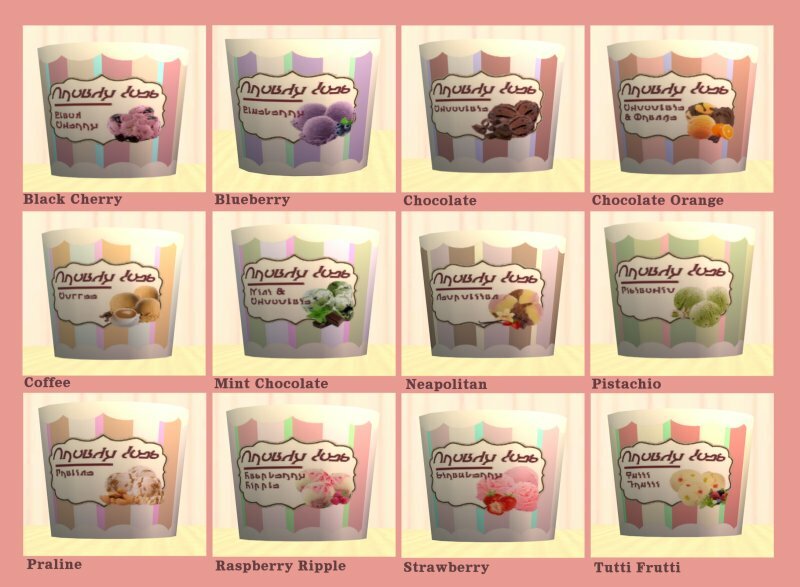 Description: Ice Cream in 14 flavours (Black Cherry, Blueberry, Chocolate, Chocolate Orange, Coffee, Mint Chocolate, Neapolitan, Pistachio, Praline, Raspberry Ripple, Strawberry, Tutti Frutti, Vanilla, Banana). 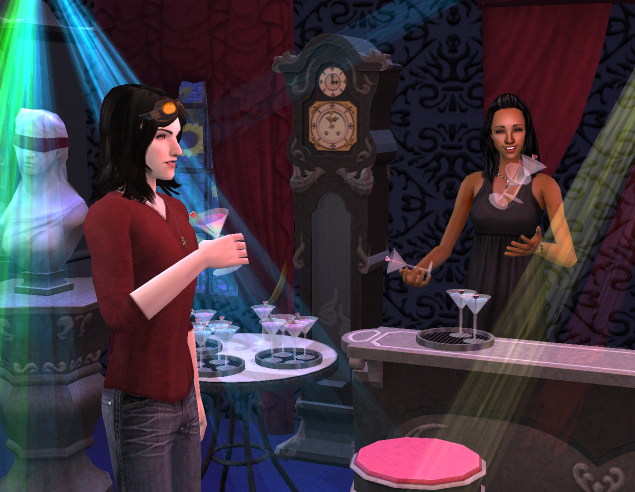 Description: Bar drinks and bottles from The Sims 3 Late Night as default replacements (plus decorative glasses). 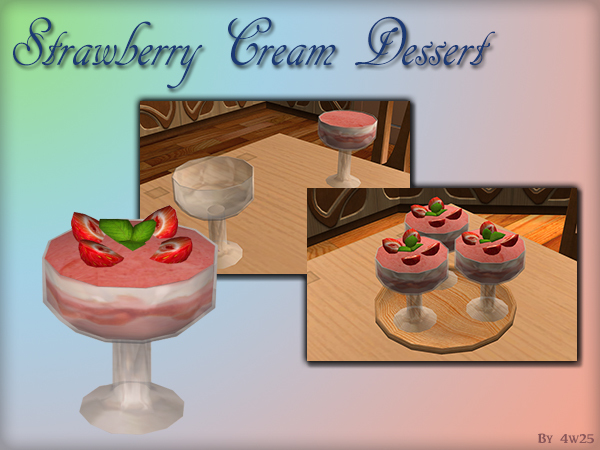 Description: Strawberry cream dessert with custom dinnerware. 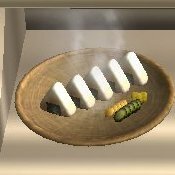 Description: Buyable and edible sushi. 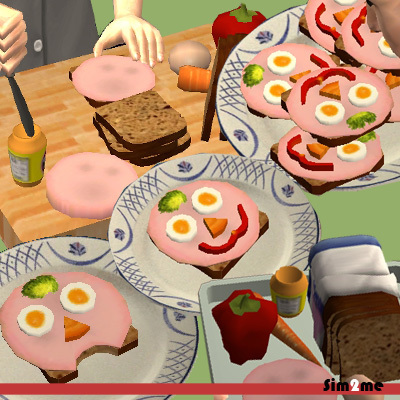 Description: Open-faced vegetable face sandwich. 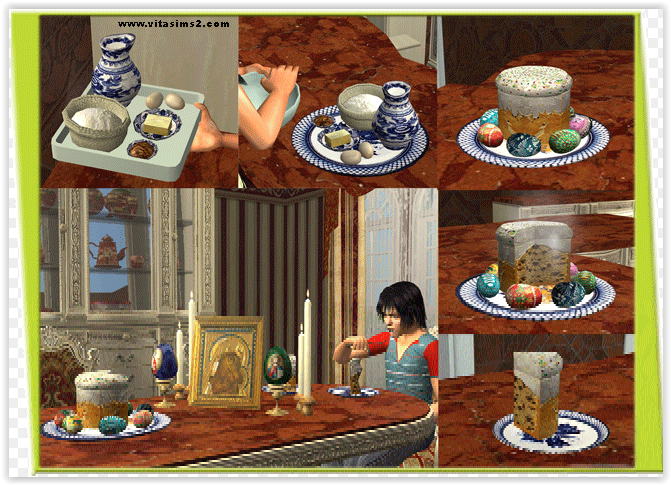 Description: Russian Easter cake (Kulich) dish. 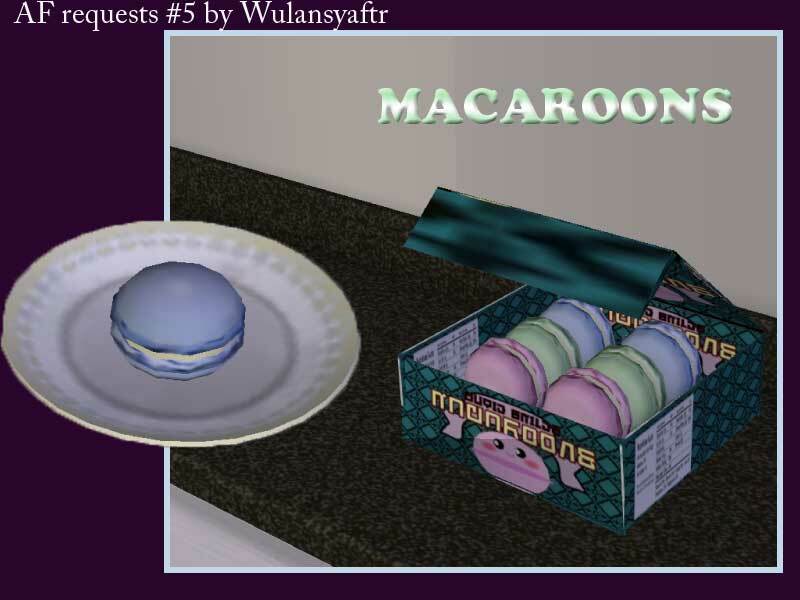 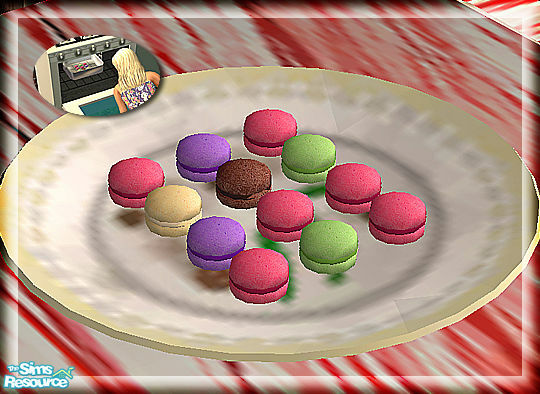 Description: Macarons as default replacement for Toaster Pastries. 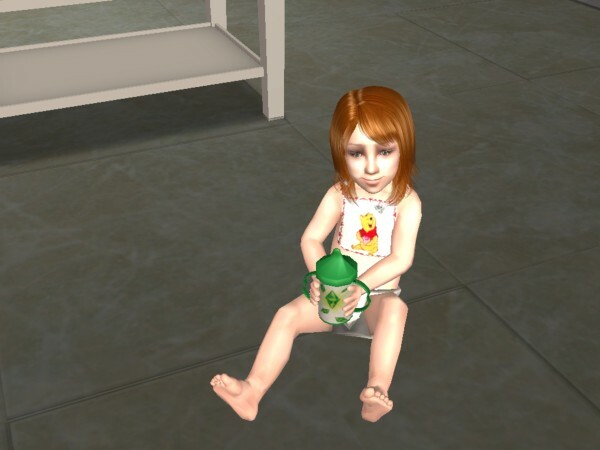 Description: Sippy cup for toddlers. 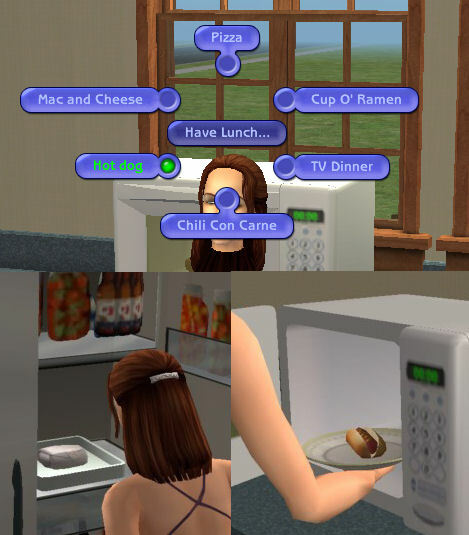 This cup never spoils and does not replace Maxis' default bottle. 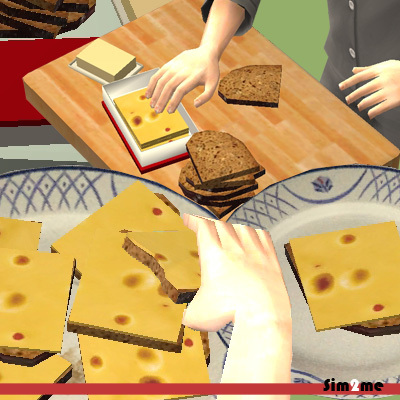 Description: Open-faced sandwich with hazelnut spread (Nutella).